May 17 marked Women Occupying Wall Street’s (WOW) First Feminist General Assembly in New York, along with similar assemblies in Chicago and other Occupy sites nationwide. It also happened to be my 30th birthday. Everyone knows that when you pass to a new decade, there is a comfort in nostalgia — 30 is no exception — and while Petaluma, Ca., had no such meeting, I held a GA of one in which I examined the relationship between my commitment to nonviolence and my feminism. I was, after all, a self-identified feminist long before I was a nonviolent activist and educator, and I see the two identities as complementary and mutually reinforcing. It’s not surprising: Women’s rights have historically been won through nonviolent methods, although it’s also true that movements for women’s rights and feminism are not entirely the same. The various forms of feminism do not always share a common commitment to nonviolence or even an anti-militarist stance: The fact that women are now being trained to kill other women in the military is seen by some as a “victory” for women’s rights. Yet the separation between nonviolence and feminism feels inauthentic to me. This comes not from any essentialist belief about femininity in general, but because we are more aware today that violence is inequality, and, as the Second Wave feminists insisted, there is no such thing as equality for some. 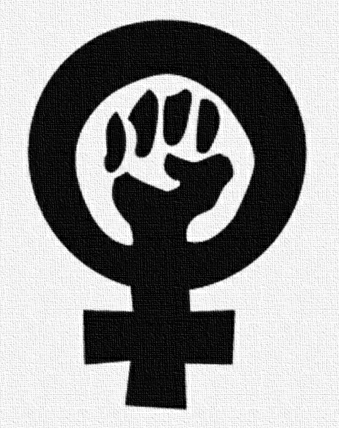 My impression is that there is still some way to go before reaching the possibility that OWS would align with feminism. The fact that sexual violence occurred with the encampment attests to the depth of the problem. There is still insufficient understanding of the depth of both the psycho-social and structural holds that patriarchy has on our culture and politics. Nonetheless, this feminist initiative is a very positive development, and I hope it goes forward. While WOW has been working on these issues since the beginning — including consciousness-raising about feminism and fostering safer spaces — the GA itself, according to Reardon was “the result of a long feminist process” that has been taking place for months and is still ongoing. But if only we could begin “a long feminist process” that is safe, inclusive and participatory into politics today, Reardon among others would maintain that it would ultimately take us to the patriarchal roots of the war system. In this light, we might notice that feminism has always contained an element of the nonviolent approach called “constructive program” — building the institutions we need without waiting for others to give them to us. This has been implemented in many aspects of the feminist movement, such as the Jane clinics before Roe v. Wade, or the way that Planned Parenthood has become a key health provider for women amidst an unequal healthcare system. But there is more to be desired. I’m optimistic that the new political space created by Occupy might offer an opportunity for even more innovation and creativity. In this movement, it was clear from the beginning that we are not just protesting what we don’t want; we are building a new culture from the grassroots up, from our experiences of gender, poverty and violence. Let’s not forget poor Rosie the Riveter, an unhappy militarized symbol for feminists. We can let her rest in true peace when we finally recognize that her “strength” was manipulated to militarize women’s identities. Sure, “we can do it,” but we’ve learned that we have to be discriminating about what “it” is: We can resist the forces of violence and militarization. We can create more nonviolent alternatives to violent systems, lessening the power any system of oppression might hold over us. Feminism may imply nonviolence, but what is particularly feminist about nonviolence, as it is often theorized today? There is generally thought to be a split between approaches to nonviolence that have been (poorly) labeled as “principled” and “strategic.” The strategic side does not want to touch emotions or ideals because they want to show that nonviolence is forceful and threatening to those in power — essentially, masculine and strong. Advocates of the strategic approach make advocates of principled nonviolence out to be emotional, impractical, unrealistic, somewhat irrational and preoccupied with human well-being — effeminate and passive. It is a gendered debate, and it has consequences that fall along gendered lines. The movement in Egypt took a “strategic” route in the Arab Spring, for example, but although it encouraged women’s participation for a strategic purpose, it did little to undermine patriarchy and militarism, and the “revolution” was immediately followed by abuses against women and by military rule. Feminists insist on talking about the real needs of people, not about using them as means to some political end. Audrey Lorde, in her 1984 essay “The Master’s Tools Will Never Dismantle the Master’s House,” makes this clear: “The need and desire to nurture each other is not pathological but redemptive, and it is within that knowledge that our real power is rediscovered.” bell hooks also writes about feminism and love, about how love is no sign of weakness when expressed with integrity and intention — in other words, when it is an expression of authenticity. Kenneth Boulding (partner to the late feminist peace theorist Elise Boulding) developed a “three face” model for power that maintains that the power of nonviolence lies in its authenticity, in the willingness to experience suffering for the sake of personal integrity. We were joking, of course. But let’s face it: injustice is obnoxious and pervasive; anger is a sign that we are paying attention. Anger itself, though, can be a sign of impotence, a resignation to powerlessness. Anger is natural in movements for social justice — no complacent person will effect change in their lives or in others — but it’s only beneficial so long as it becomes transformed into something else. Anger is frustrated love, and when we can harness our anger through nonviolent discipline, it becomes an expression of that love. Didn’t Martin Luther King Jr. call nonviolence “love in action?” Paraphrasing Booker T. Washington, King once wrote, “I will never allow any man [sic] to drag me so low as to make me hate him.” Why not? Because hatred is detrimental to our self-care as individuals. While King would not be considered a feminist in any strict sense of the term (though surrounded by a movement of women), those words evoke a feminist value. I used to call myself a “radical feminist.” In many ways, nonviolence has made me more so. While radical feminism wants to get to the “root” of oppression, nonviolence is the seed we want to sow when we get there. Thank you so much for doing this. You have inspired me to write something about my own efforts and my own cause. Here is a blog I wrote in response and to put out your message. Thank You for writing this!!! Thanks for this, Chad. Let’s keep in touch! I love Betty Reardon’s quote: “There is still insufficient understanding of the depth of both the psycho-social and structural holds that patriarchy has on our culture and politics.” How very true! Wow! I am first reading this now, a month past it’s initial publication date, in part because I am, in part, writing something along the lines of the exchange between you and Cynthia Boaz. Though I tend to lean towards Cynthia’s perspective in many of these discussions, and there is one point here which I think needs further review (in my experiences, it has been the so-called ‘principled’ adherents that take on a more masculinist model), I am excited by the loads of interesting and vital connections you make here: to Lorde (too often over-looked in our circles), and hooks and Reardon and others. BRAVO! And may I also take this moment to publicly (and belatedly) wish you a happy 30th. With articles like this one, I can’t wait to see what you produce in the next ten years. I love this. I don’t like the attempt by some theorists to divide “principled” nonviolence from “strategic” nonviolence – I strive to promote both principles and strategy – but I had never thought about the gendered implications of the divide before. I also appreciate your take on the importance of nurturing anger at injustice. It reminds me of Barbara Deming’s classic, “On Anger,” which I just re-found online at https://network23.org/burninggold/2014/01/11/on-anger-a-talk-by-barbara-deming/#comment-2.